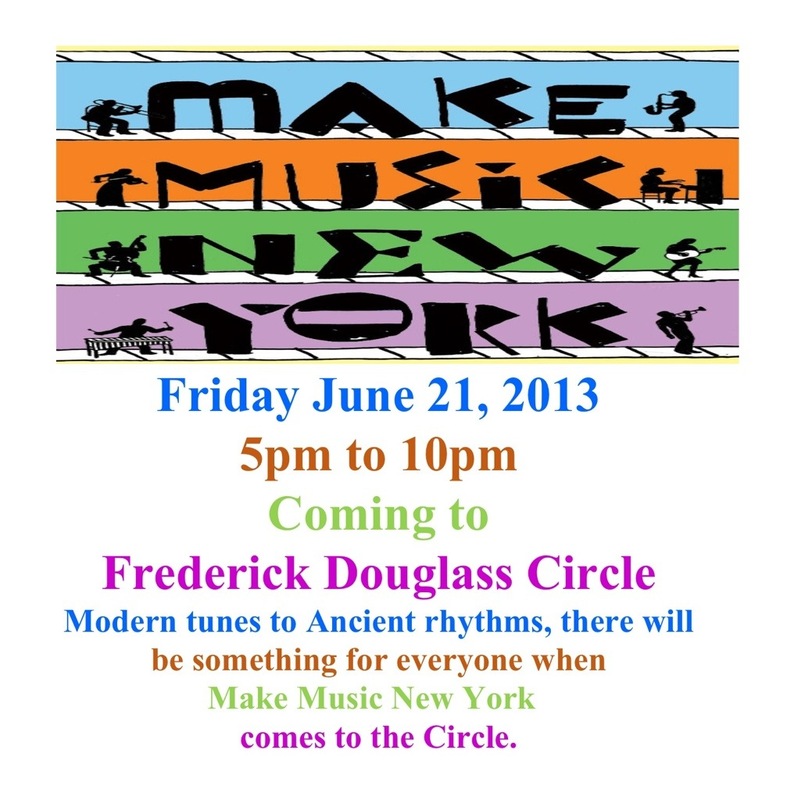 Make Music New York happening at Harlem’s Frederick Douglass Circle June 21 | HarlemGal Inc. This entry was posted in 110th Street, 111 Central Park North, art and culture, bier international, Community, entertainment, Events, Frederick Douglass Blvd., Frederick Douglass Circle, Free!, Harlem, Harlem blogs, Harlem Food Bar, Harlem Restaurant Row, Harlem restaurants, music, New York, New York City, NYC, Things to do in Harlem and tagged 10026, bier international, Entertainment, Frederick Douglass Circle, Harlem, Harlem Food Bar, make music New York, The Winery. Bookmark the permalink.